Food & Nutrition Services » What is a Reimbursable Meal? 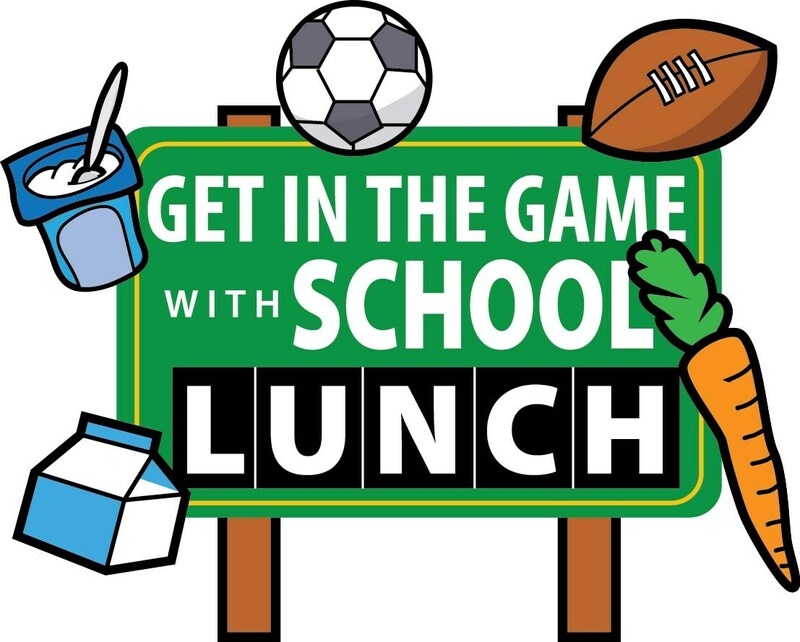 A reimbursable meal is mandated by USDA and every school participating in the National School Lunch and/or Breakfast Program must offer certain components to students every day. As long as the school participates in Offer vs. Serve, students do not have to take every component offered. Below are the component requirements set by USDA based on meal and grade. *For lunch, each plate must have at least 3 components and 1 component must be a fruit or vegetable to be counted as reimbursable. If the plate does not contain these items, the student will be charged ala carte pricing. 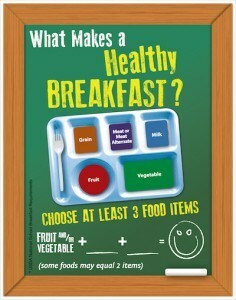 **For breakfast, each plate must have at least 3 items and 1 item must be a fruit. 4 items must be offered to students each breakfast. What Does Offer Vs. Serve Mean? 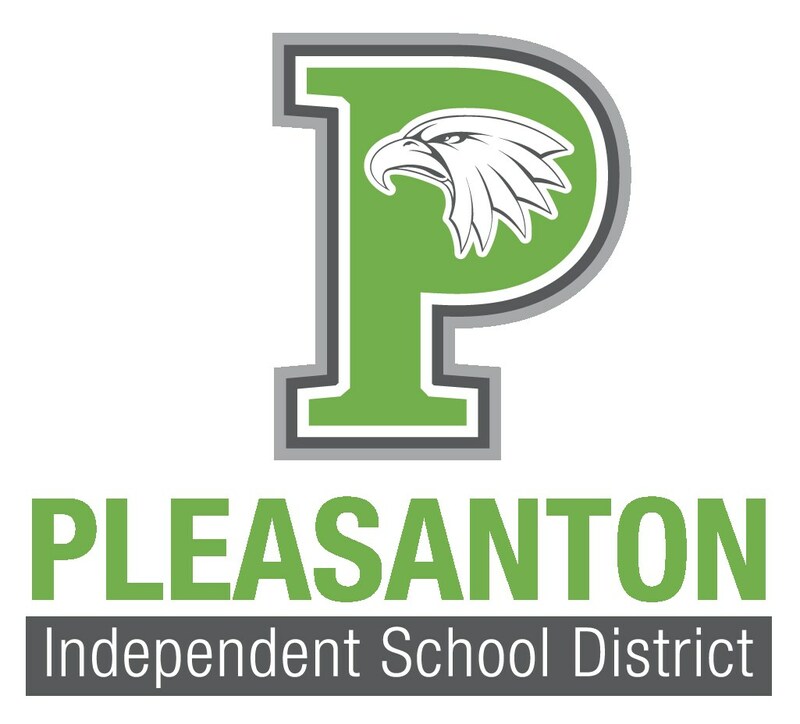 A school that is 'serve only', gives every component (fruit, vegetables, grains, meat, and milk) to every student purchasing a reimbursable meal. A school that practices 'Offer Vs. 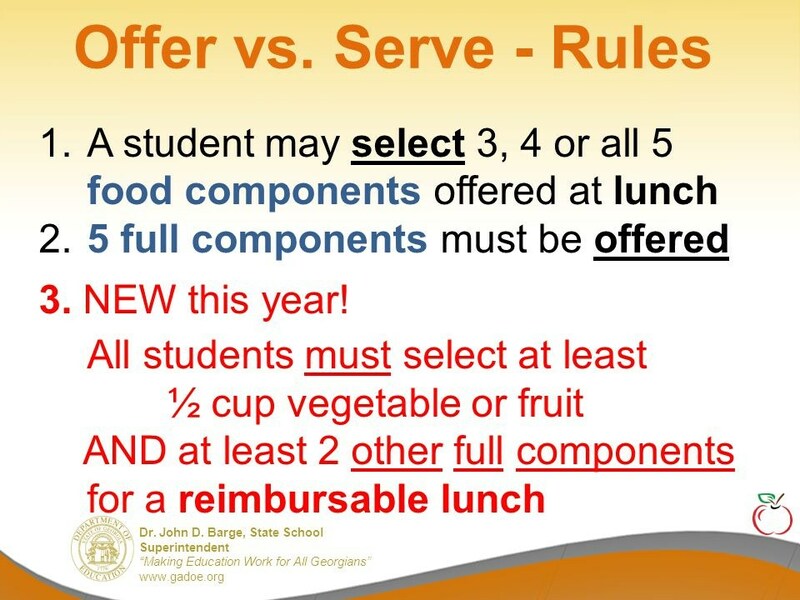 Serve' offers every component to students as part of a reimbursable meal, but students are allowed to reject up to 2 components and still have a reimbursable meal. 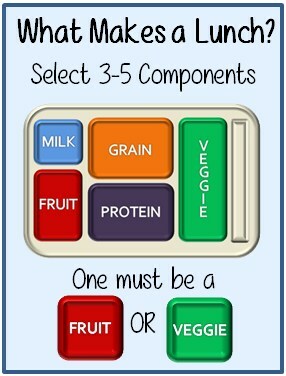 For a reimbursable meal, a student must take at least one serving of fruit or vegetable and 2 other components. Why participate in Offer Vs. Serve? The purpose of offer vs. serve is to reduce plate waste and allow students a choice in what they wish to have for breakfast and lunch. However, the student may take every component offered.